This article discusses the top 10 benefits of doing pull-ups. As one of the most used bodyweight exercises, pull-ups can be very beneficial for anyone starting out with their workout plans. Be it weight loss or simply getting into shape, pull-ups can be the answer for many. We will discuss the top 10 benefits throughout this article highlighting the value of behind each of the benefits for you. At the beginning of your training workouts things may sometimes be confusing or challenging. However, getting the right information will help you go a long way and lowers the chances of injuring yourself or making the mistakes of others in the past. One of the best exercises for building muscle and strength in your upper-body is pull-ups. Simply jumping on the bar and doing pull-ups may not be best way to go if you are just starting out. Hence, in this article we will be looking at 5 tips on how to do the perfect pull-up with the proper form and technique. We also highlight things that you ought to consider before/after doing a set of pull-ups. Doing pull-ups can be challenging and exciting in the beginning but you may need to switch things up along the way, especially if you are looking to challenge yourself more. In other cases, you may find yourself not being able to do enough pull-ups which can lead one to look for different workouts and exercises available in order to improve things. Luckily there are a range of pull-up exercises that will help you train whilst adding variation to your workouts. In this article we will be looking at the top 5 exercises that you can include in your workout in order to do more pull-ups. Pull-Ups vs. Chin-Ups: How are they different and which is better? When it comes to bodyweight workouts, few exercises are as well-known as the pull-up and the chin-up. But what's the difference? After reading this article, you will know! Every now and then you might feel like trying something new during your workout exercise. When it comes to doing pull-ups, there are various techniques available for you to try out and master. 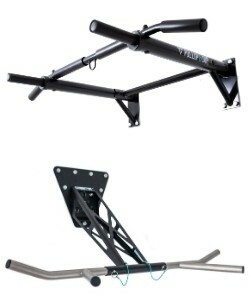 However, there are also advanced pull-up variations for those who want to take their training to the next level. In this article we will cover ten of these variations, including: Weighted pull-ups, Archer pull-ups, Typewriter pull-ups, One arm pull-ups, Muscle-ups, Clapping pull-ups, L-sit pull-ups, Towel pull-up, Around the world pull-ups and Kipping pull-ups. In the following section we will cover each of these in detail. The pull-up is a tried-and-true exercise that’s popular with both newcomers and advanced athletes alike. But there’s more to this classic exercise than meets the eye. Whether it’s changing your grip width, your hand positions or your range of motion, switch it up and explore these eight pull-up variations. Your Pullup & Dip Bar lets you conveniently incorporate these pull-up variations anytime and anywhere, blasting every major muscle group in your upper body from your lats to your traps to your abs. When getting started with weightlifting, workouts and body training, many notice that they are unable to endure properly. This is often times due to handgrip strength. In this article we will be exploring several tips for improving your grip strength, which is key when doing pull-ups on the Pull-up Bar. Achieving a full set of 20 pull-ups isn’t something everyone can do when starting out. Only doing a couple of “ugly” reps, say 5 or 10 isn’t going to get your muscles going too much either. Doing around 20 reps per set sounds like you’d be taking things seriously though. Nonetheless, achieving this is not as easy as it may seem. This is the part where people give in and go for another exercise due to the sheer (perceived) difficulty of doing so many pull-ups in a row. 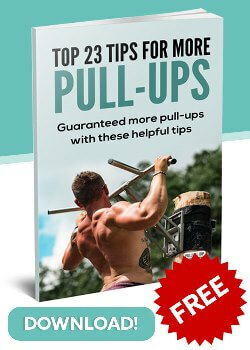 In this article we will look at several tips for achieving a full set of pull-ups. Part of a good workout is not necessarily to force your body to the point of collapsing but to improve your body’s endurance and strength in order to perform the techniques wanted. Another core principle is performing techniques properly. Here we list seven tips and tricks for doing pull-ups sets you can be proud of! Pull-ups are not called a supreme discipline for the back for nothing - although they look easy at first glance and many still know them from their school days, they prove to be extremely nasty in their execution as well as in the course of a regular training program. Even as a pure weight training (so-called body weight exercise, for short: BWE), pull-ups often cause worry lines - they are almost indispensable both as back exercises and through their character as a compound exercise.